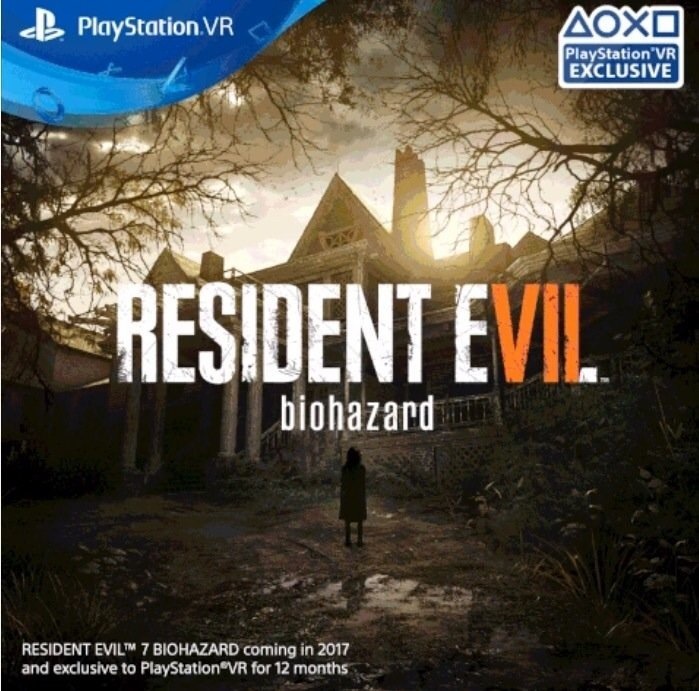 An advertisement posted on Facebook says that Resident Evil 7: Biohazard’s VR Mode will be limited to PlayStation VR for a year. One Reddit user spotted this advert and also noticed a small print at the bottom of it saying that Resident Evil VII VR mode might be launched for other VR platforms only after a year. No official comments were made regarding this advert. 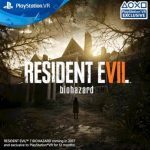 Capcom, Resident Evil 7 owning company, hasn’t yet provided any comments on Resident Evil VII VR experience for other platforms than PlayStation VR. Earlier company released the VR-supported Resident Evil 7 Beginning Hour demo during E3 2016 annual event. However, the demo stands apart from the main game and will not be included in the final Resident Evil 7 storyline. Capcom also launched a Twilight demo, an update to the Beginning Hour demo for Resident Evil 7 in September. This demo version allows game fans to discover more of the mystical mansion. Resident Evil 7 is planned to be launched on January 24, 2017. The horror game will be available for Xbox One, PlayStation 4 and PC. Resident Evil VII Deluxe version will be available to purchase for $89.99. It will include the final RE7 game and a season pass together with 3 bonus story chapters. The first DLC will have 4 side stories while the other one will add one more episode to the main Resident Evil 7 game. Standard Edition of Resident Evil VII seems to have a special theme for the console and is already available to pre-order. The price of it is €64.99/£49.99. A Day-1 Survival Edition has a special theme and the Survival Pack: Recovery Set. It has a special price up until release and it is €69.99/£52.99. Recovery Set that is included in A Day-1 Survival Edition consists of usable healing items, a mystical coin and an early unlock to a troublesome Madhouse mode. Earlier Capcom announced that Resident Evil VII will not have microtransactions unlike many other games from its league. We also had an opportunity to try the upcoming Resident Evil 7 and one thing is clear and we have to say that the gaming experience surprised us.